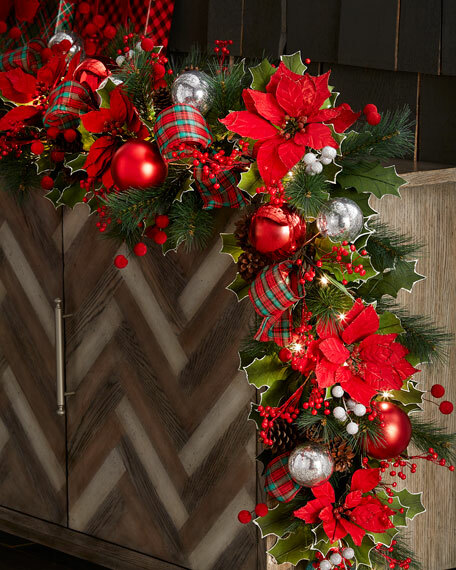 Classic Christmas Prelit Garland, 72"
Prelit garland with tartan plaid trim and assorted glass ornaments. Rattan core, plastic balls, artificial flowers, Styrofoam berries, paper leaves, pine needles, and lights. 72"L x 10"D x 8.5"T.
Boxed weight, approximately 12 lbs.